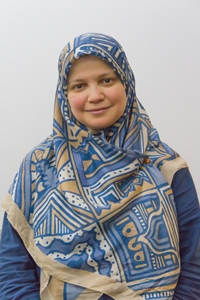 Eman Zahran is a certified teacher of Arabic for foreigners, with a Diploma in Arabic Studies and a BA with Honors in Arabic and English from the Ain Shams University in Cairo. She has a great deal of experience in delivering highly customized Arabic courses to foreigners and in teaching high school. Eman’s career covers almost 20 years of deep involvement with students of very diverse backgrounds and levels. She is also the editor of Arabic course books. Khoulood Sakbani joined TII with an international experience of over 15 years in teaching Arabic to non-native speakers at Damascus University, the British Council (Syria), Austin University (USA) and Iqraa Language Center (Dubai, UAE). She has a Master’s Degree in Arabic Language focusing on non-native Speakers, and a BA in Arabic Language and Literature from Damascus University. 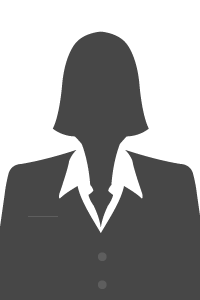 She is also a teacher trainer and a researcher who has published numerous books, research papers, and conference presentations on various aspects of the Arabic language. Mohammad Ali Bahri’s career spans journalism, media, Arabic language and literature as well as Arabic language teaching. Mr. Bahri brings his multi-layered experience to class to create a relaxed but highly professional environment for learning Arabic. With an on-going preparation of his PhD in Media Language, a Master’s Degree, and a BA in Arabic Literature from the Damascus University, he has been a very successful instructor at TII for more than a year now. Dr. Rasmeh Al Huneiti is a research, education, and training specialist at the Healthcare Quality and Patient Safety Department at the Qatar Ministry of Public Health. 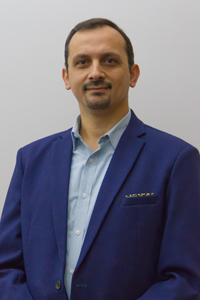 With a PhD in Medical and Nursing Education from Brunei University in the U.K., Dr. Rasmeh Al-Huneiti has a special interest in medical education and healthcare quality. Dr. Rasmeh Al Huleiti represents the perfect mix of expertise and experience for delivering our course on Arabic for Medical Purposes. 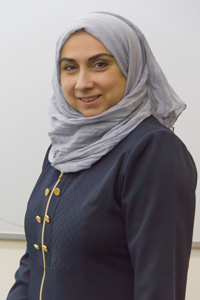 Suha Khalaf earned her degree in education from the University of Damascus and soon after started her teaching career as early as in 1997. Suha joined TII in 2015 with an extensive overseas teaching experience in Syria, West Africa and Qatar. Suha had an exciting teaching experience in West Africa, specifically in Nigeria, where she taught Arabic to non-Arabic speakers. In addition, She has taught Arabic to non-Aabic speakers at the Netherlands Institute, NISAD, in Damascus.